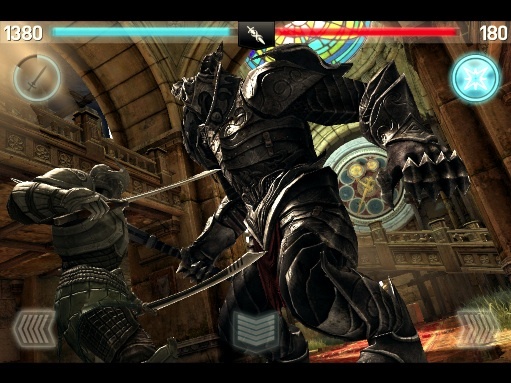 Infinity Blade 2 Impressions: "Worker, I Will Free You"
Chair's impressive sequel destroys the original with bigger monsters, cooler environments and...gems? 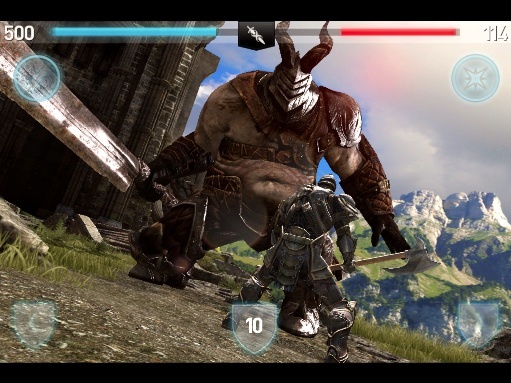 Infinity Blade, released last December, introduced iPhone and iPad users to intense one-on-one combat, as a heroic knight squared off against a series of dangerous and heavily armed Titans hell bent on his destruction. It was so successful, that the game netted an impressive $20 million, proving smart phone titles can definitely hang with the big boys on Xbox 360 and PlayStation 3. This only led to one thing: Mo money mo problems. Now that developer Chair Entertainment had crafted this interesting world, fans wanted to know significantly more about the characters in play, especially the protagonist and the God King, the almighty being the warrior sets off to destroy. They also demanded more weapons, magical items, additional creatures and environments. Thankfully, those wishes and more will come to fruition with Infinity Blade 2, set to release on both iPhone and iPad ($6.99, universal) December 1. We spent the weekend plowing through much of the game (and dying...a lot), and it appears Chair has done it yet again, but with significantly more content. First, there's a story. Characters speak quite frequently. In fact, the intro begins with the hero, Siris, walking up to an Asian style fortress with a mysterious and armored woman named Isa, the two of them discussing the current situation at hand. With the God King presumably destroyed, and the powerful Infinity Blade weapon in Siris' grasp, he sets off to find the Worker of Secrets, a mysterious (perhaps mythical) being currently held captive. Before doing that, though, he must locate Saydhi, an information dealer that may disclose the Worker's location, providing Siris chooses to engage her in battle. We'll refrain from disclosing more of the narrative. Thus begins another quest, as Siris runs into different Titans along the way en route to the Worker. With this in mind, you can expect more adversaries. So many, that we continue to see new monsters (even female ones) after restarting six times. Even better, Chair did excellent work with the designs, from a fast-moving ninja to a huge hulking monstrosity that attempts to squash Siris flat. Each has its own weaponry and attack style, forcing you to change strategy. Some even spout a few words, which adds to their overall depth. That said, the battle system's basic framework remains intact. You still view the action from an over the shoulder perspective, and must dodge attacks by anticipating the direction and then pressing the left or right sides of the screen. On top of that, you can also block strikes or parry, though doing so takes quite a bit of practice. 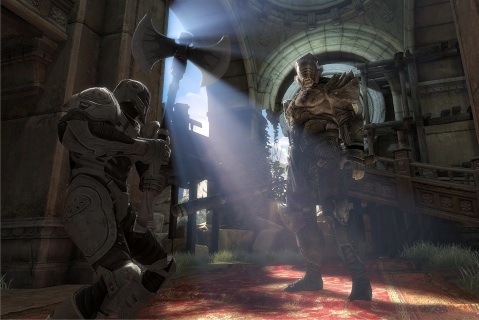 Despite playing similar to the original Infinity Blade, Chair made several improvements. To start, you now have three different attack styles. There's the standard sword and shield from the previous title, one-handed weapons and then dual wielding. The latter is especially cool, since you're able to deal increased damage and achieve higher combos. During a fight, you'll also be able to obtain multiple critical strikes. With an enemy on its heels, you can tap several semi-transparent circles that appear, one after the other. Do this, and Siris automatically launches into a barrage of swings that (depending on the weapon's strength) whittles away the Titan's life bar. While on the subject of weapons, expect to see a ton, from swords to axes and maces. 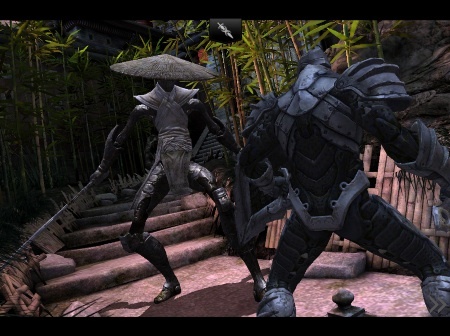 Infinity Blade 2 also comes with a bunch of shields, helms and magic rings. From there, you can master this equipment, and in some cases, make it stronger with gems, which serve as the backbone to the game's forging system. The key to success involves matching shapes, so circular gems only fit into circular slots, squares into square shaped slots and so on and so forth. As for how you pay for these things, the game world is full of gold, and you can always rely on in app purchase for more. We, on the other hand, prefer to grind it out to prolong the experience. 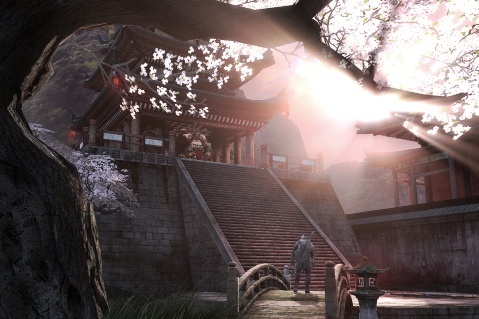 In regards to actual world, Infinity Blade 2 has massive and varied environments, including the aforementioned fortress and yet another tower full of dungeons, bridges and other fun spots, some of which the developers lock away during your first play through, including an arena known as the Vault of Tears. As cut scenes unfold, you can snag bags of gold by tapping them, and later, open chests, some of which require a Large, Medium or Small key, often obtained after killing monsters. It's best to stockpile those for later. That's essentially the gist of it. Infinity Blade 2 has yet to disappoint, and we look forward to playing the final version (and reviewing it) the week of its release. Suffice to say, you won't be disappointed.